We recently hit up Cafe de Japon a few hours ago. After eating some of the Japanese comfort foods, I was surprised that there were no other customers around... This place should be bumpin during the weekends! On the left I tried the Agedashi Tofu from the Daily Specials Menu. It is hot silken firm tofu, cut into cubes, lightly dusted with potato starch or cornstarch and then deep fried until golden brown. I've had this dish countless of times at other places, and this was the first time the tofu stood out from the others I've had. The toppings and the sauce that accompanied the tofu was quite delightful. 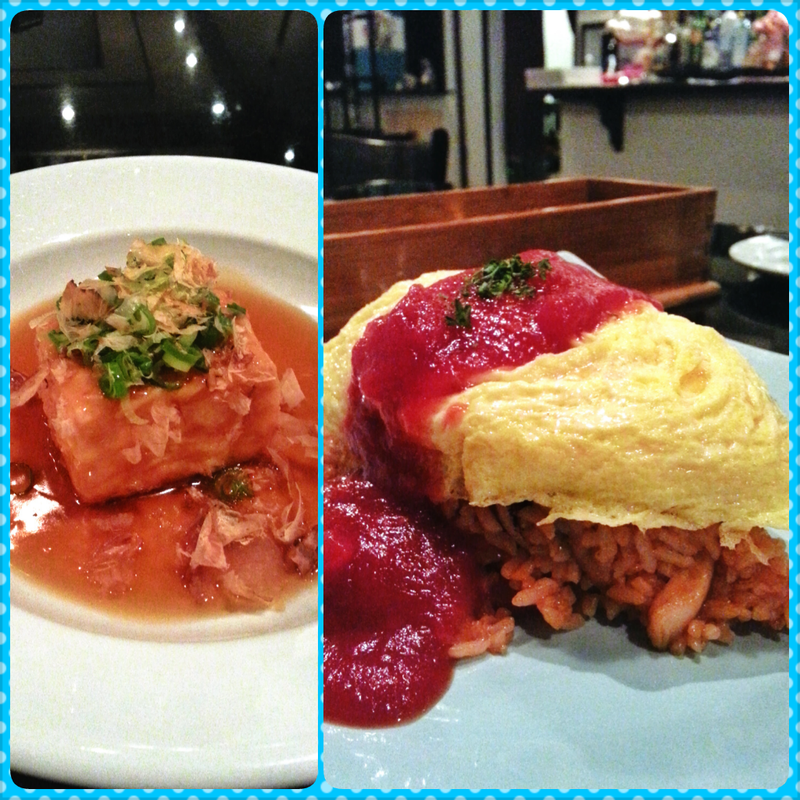 To the right is Omu Rice- It is chicken fried rice covered with egg and homemade tomato sauce on top. Their homemade tomato sauce was bold, which I enjoyed because to me it paired well with the fried rice and egg. I love their philosophy of Family, Health and Deliciousness. According to their website, they only use the freshest materials from their everyday purchases. I could definitely tell their foods were fresh with every bite!